My PUMA #NoMatterWhat Challenge‏ Video 2 – Win a FREE T-shirt from PUMA! 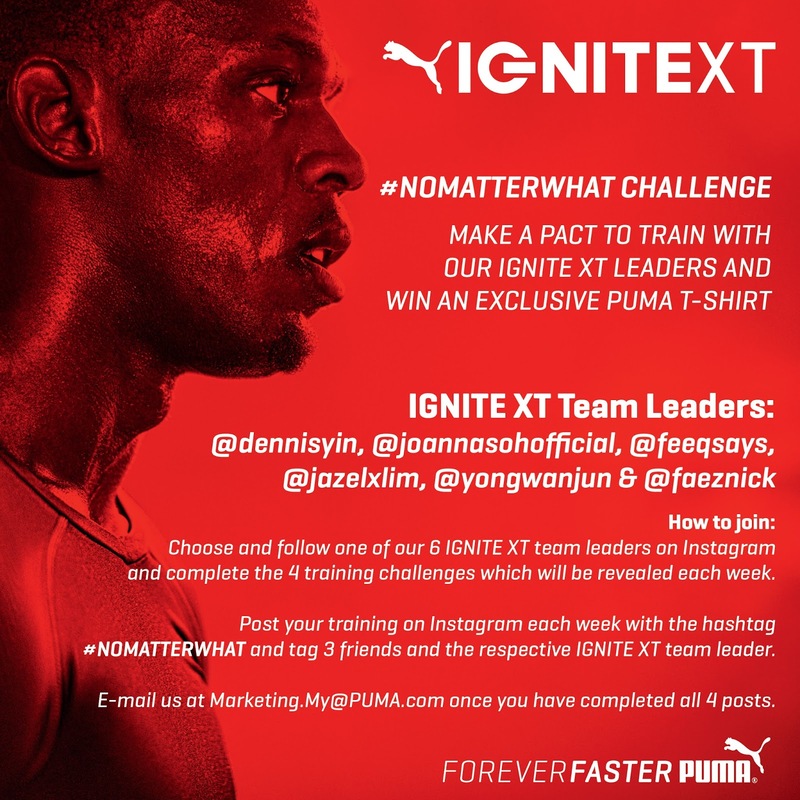 Join me in the PUMA ‪#‎NoMatterWhat‬ Training Challenge and win a FREE T-shirt from PUMA! Once you go PUMA, you never go back! Join me. 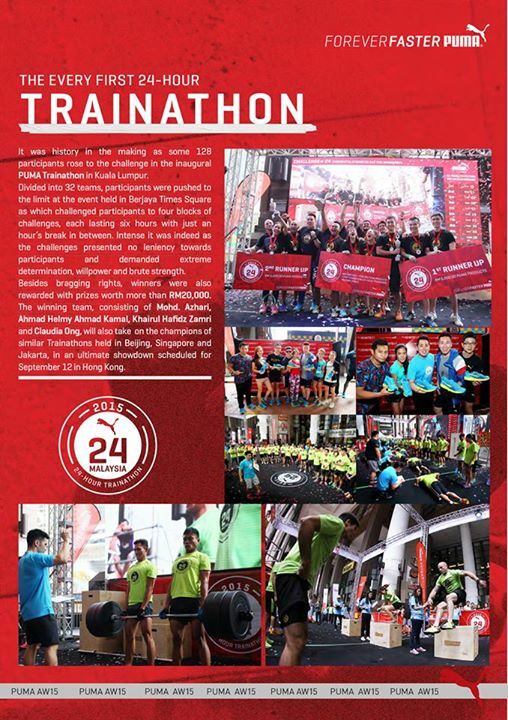 In the recent month, the first ever 24-hour Trainathon by PUMA made history as some 128 participants rose to the challenge in the inaugural PUMA Trainathon in Kuala Lumpur. The winners will take on the champions of similar Trainathons held in Beijing, Singapore and Jakarta, in an ultimate showdown scheduled for September 12 in Hong Kong. Follow my 4 training (this is the 2nd video) on my Instagram. Complete the training and share a photo or video on Instagram with the hashtag #NoMatterWhat, and tag me and 3 of your friends who you want to challenge.